There are plenty of royal jewels from former reigning families that have been dispersed. Some reside in museums or private collections, while others have been dismantled. But in Italy, there's a collection of royal jewels that has been stuck in legal limbo for more than half a century. 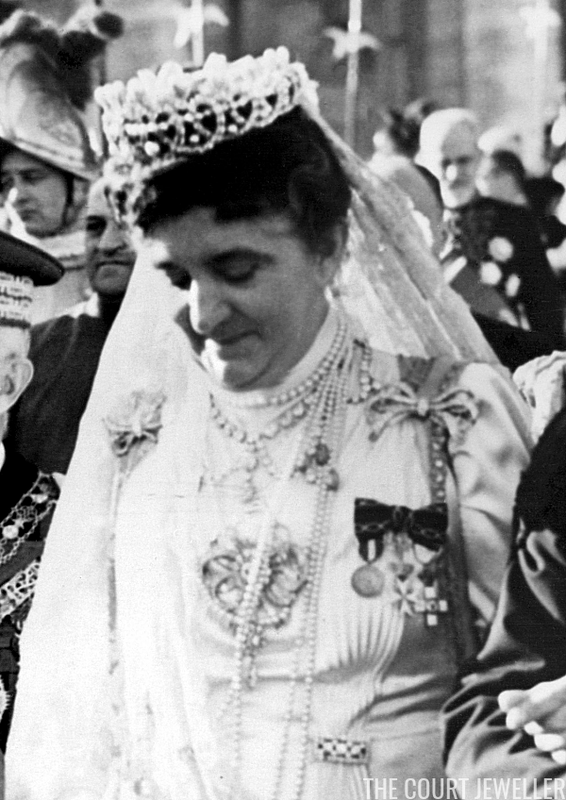 Today's sparkler, Queen Margherita's Savoy Knot Tiara, is among that cache of hidden jewels. The diamond and pearl sparkler incorporates one of the most important symbols of the House of Savoy, whose members reigned in Italy from 1861 until 1946. (The knots, according to the Savoys, are important because "they tighten but do not constrain." Hold on loosely, I guess?) The tiara features the looping knots intersected by a rope of pearls. The motif is also found in a tiara owned by another branch of the family, the Aosta Knots and Stars Tiara. This portrait offers a glimpse of the tiara paired with some of Margherita's incredible pearls. 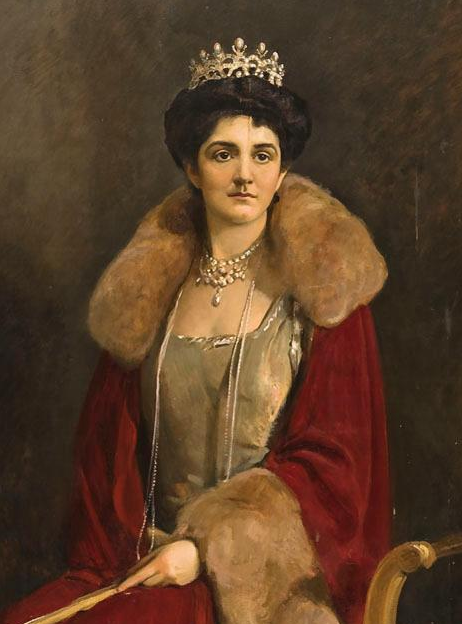 She also paired the tiara with diamond and emerald jewels (see the image above this one), including the family's amazing diamond and emerald necklace (sold in 1985) and the Stuart Emerald Brooch. 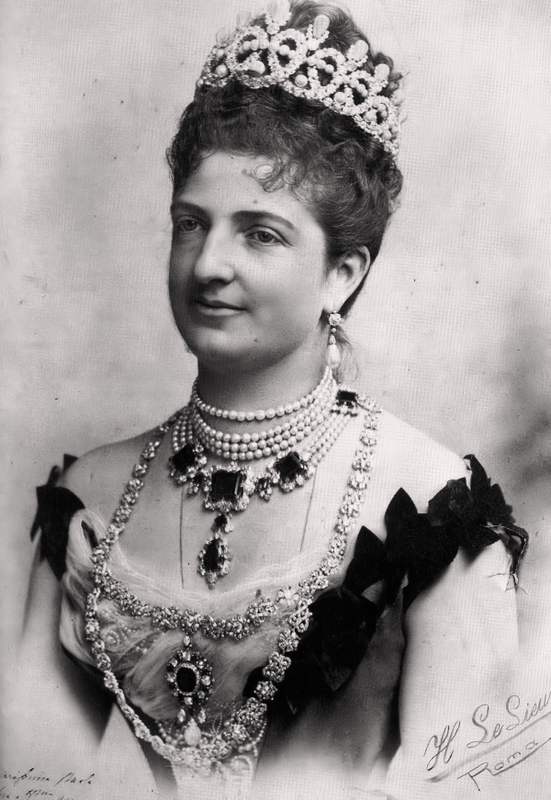 The tiara's next wearer was Margherita's daughter-in-law, Queen Elena. A daughter of King Nicholas I of Montenegro, Elena married Umberto and Margherita's only son, Vittorio Emanuele, in 1896. When Umberto was assassinated in 1900, they became King Vittorio Emanuele III and Queen Elena of Italy. 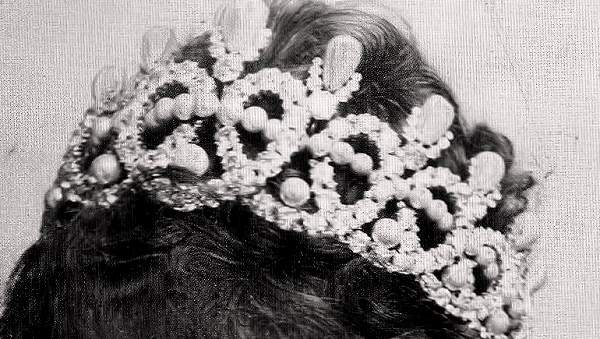 Elena was a popular queen consort, and images of her in all her royal splendor often feature this tiara. A series of photographs taken around the time she became queen was also the basis for a portrait of her wearing the Savoy Knot Tiara and sparkling diamonds. The tiara was an important part of Elena's jewelry box throughout her husband's reign. Above, she wears it during a visit to the Vatican in 1939, just before the outbreak of World War II. After the war, however, the Italian royals suddenly found themselves on a very shaky throne. King Vittorio Emanuele III, conscious that his associations with Mussolini's regime had irreperably damaged his reputation, had transferred much of his power to his son, Crown Prince Umberto, in 1944. But it wasn't enough. In 1946, a referendum was planned to decide whether Italy should remain a monarchy or become a republic. 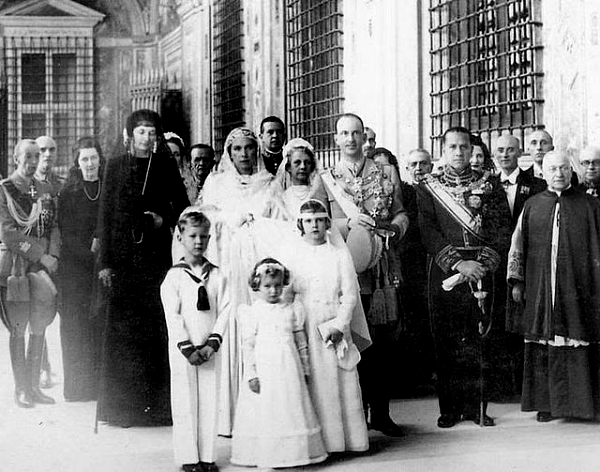 Hoping to help shore up support for the monarchy, Vittorio Emanuele formally abdicated in May 1946, making his son King Umberto II. The plan didn't work. The public voted in June 1946 to become a republic, and King Umberto (and all male members of the House of Savoy) were expelled from the country. 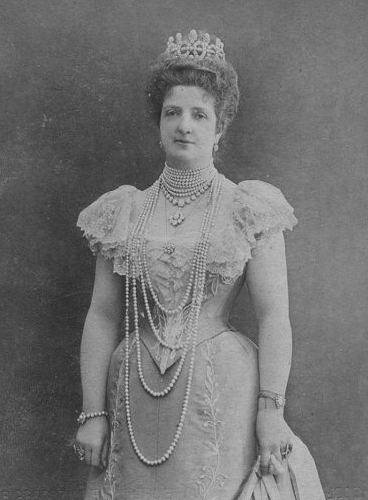 Queen Marie-Jose had already fled the country, taking her personal jewels with her. 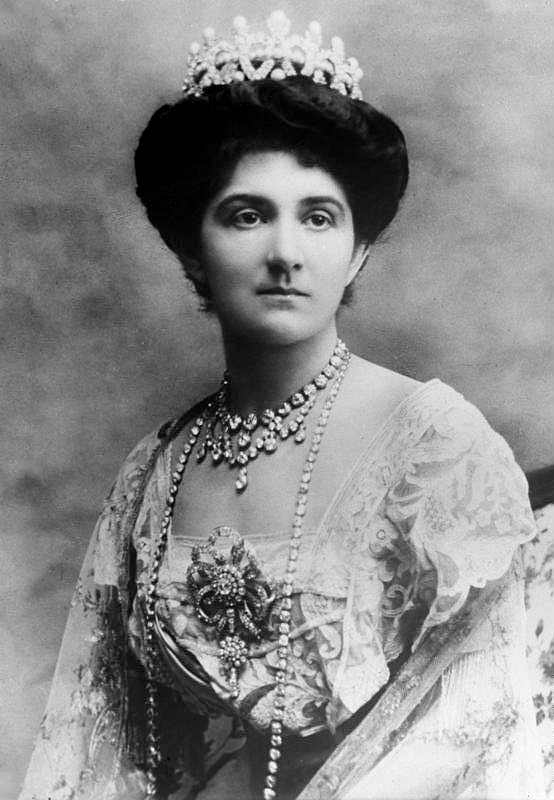 Before following her into exile in Portugal, Umberto placed the Savoy Knot Tiara and numerous other jewels in a sealed leather case, which he stashed in the Bank of Italy in Rome. Along with the jewels, he reportedly placed a note stating that the bank should only release the pieces to "whoever has the right to them." So, of course, that raises one very big question: who has the right to the jewels? It's clearly not an easy question to answer. In 1948, two years after the Savoys were exiled, newspapers reported on the personal property of the family that had been confiscated following the plebiscite that abolished the monarchy. The Ottawa Citizen noted: "The crown jewels, valued at 2,000,000 lire, were not the property of the house of Savoy, but were state-owned. These royal ornaments and trappings were nothing special as crown jewels go, and former King Umberto is said to have called them "junk." The queen's diadem contains 1,040 brilliants, yet the whole ornament is not worth more than $1,000." I think it's worth noting that the idea that Umberto would call the jewels "junk," unless it was an attempt at misdirection, seems highly unlikely. In Famous Jewelry Collectors, Stefano Papi and Alexandra Rhodes discuss Umberto's love for art and jewelry and his involvement with the family collection: "Throughout his life Umberto II had a great passion for history and every form of art, which included jewelry. He loved his own family collection of royal jewels not only for their historical importance but also for their beauty." Doesn't sound like someone who would declare the jewels to be "junk" to me. 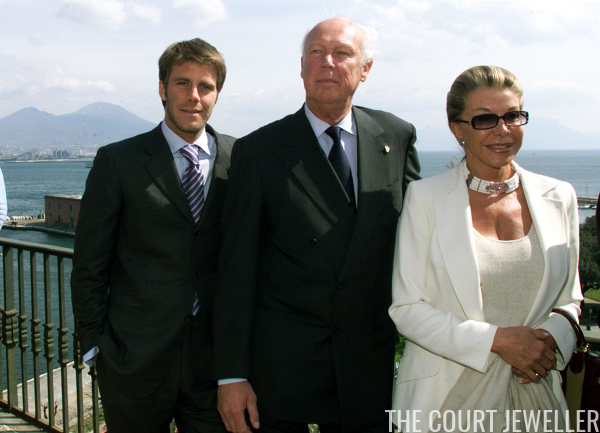 Thirty years later, rumors circulated in Italy that the jewels had been stolen. These were dispelled when, according to the New York Times, "government and bank officials, agents of the exiled monarch, legal experts, and a prominent Roman jeweler" gathered in the bank around the sealed case. The lid of the case was lifted, revealing that "all the tiaras, necklaces, rings, brooches and pendants were there," and then resealed and returned to its place in bank limbo. The jeweler who was present reportedly assessed the jewels as worth "only a few hundred thousand dollars," quipping, "You have to remember Italy always had a poor crown, nothing like England or Iran." In 2000, controversy over the ownership of the tiara and the rest of the remaining royal jewels intensified. The Ottawa Citizen reported, "Senior officials in the Piedmont, once the power base of the Savoys ... said the 'fabulous' jewels were the property of the Italian nation and appealed to the prime minister and president to have them put on public display, 'just as the British Crown jewels are.'" King Umberto's son, Prince Victor Emmanuel, disagreed: "They certainly do not belong to the state. They belong to the descendants of the House of Savoy." The exiled royals of the House of Savoy have since been permitted to return to Italy, but the jewels remain locked firmly in the bank. 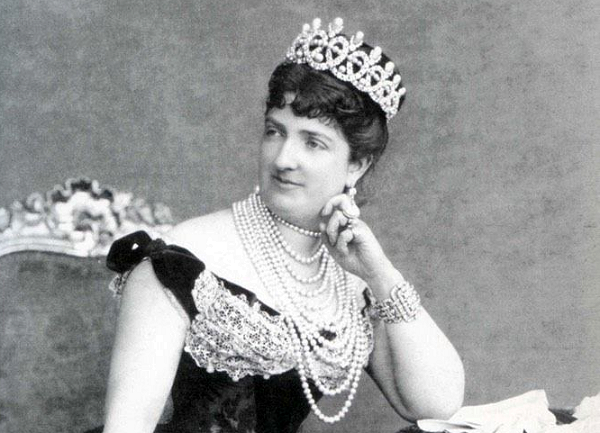 The ownership of the pieces remains unresolved, and the diamonds and pearls of Queen Margherita's tiara continue to reside in that sealed leather case, still unable to see the light of day.